The user interface has been entirely revamped to focus on user priorities and ease-of-use. 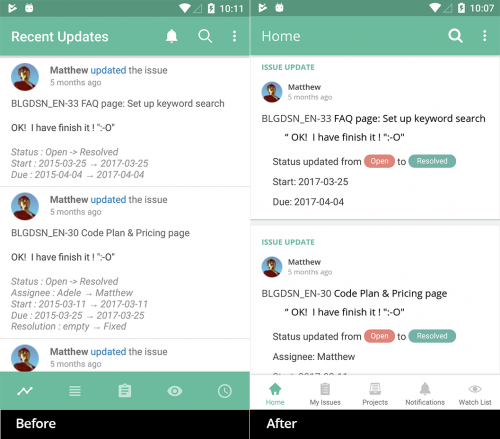 Moreover, the look and feel of the UI now look similar on both Android and iOS platforms for a seamless user experience. The redesigned app has cards in Notifications and Recent Updates that quickly let you scan information to understand what is going on. 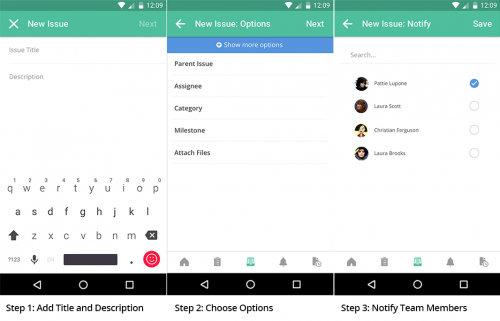 The create/edit process of an issue is now broken down into three easy steps. 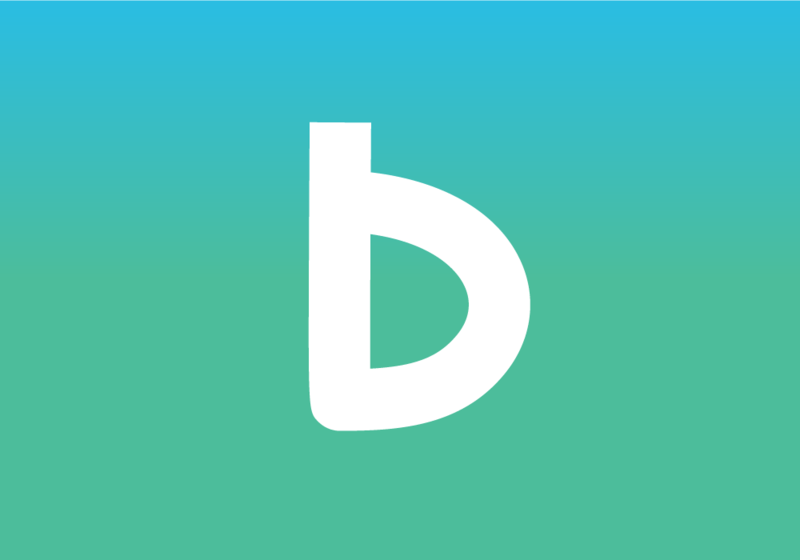 Furthermore, we updated the app with our new branding and colors. They’re used consistently throughout to make it a more productive experience. 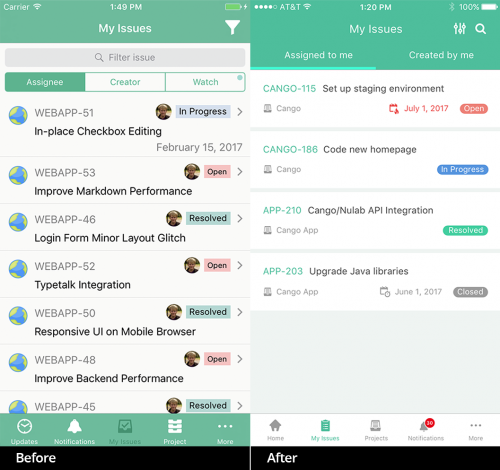 Our latest update to Backlog is about making your mobile experience simpler and more effective on-the-go. Information is easier to obtain, and issues are quicker to update. 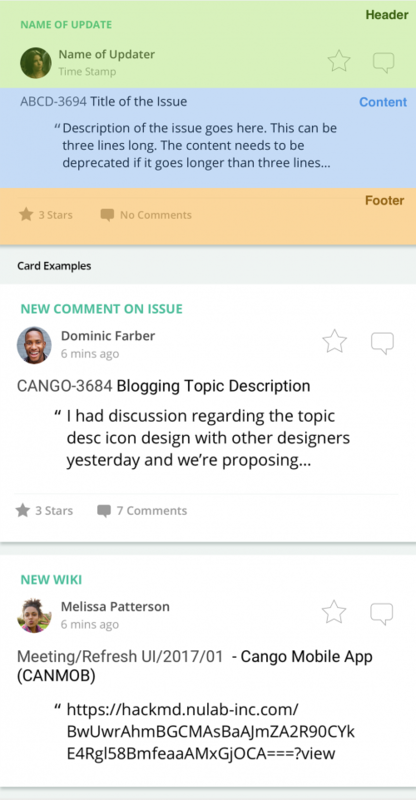 Plus, we’ve adapted our rebranding to the app to give you a more modern, sleek app experience.